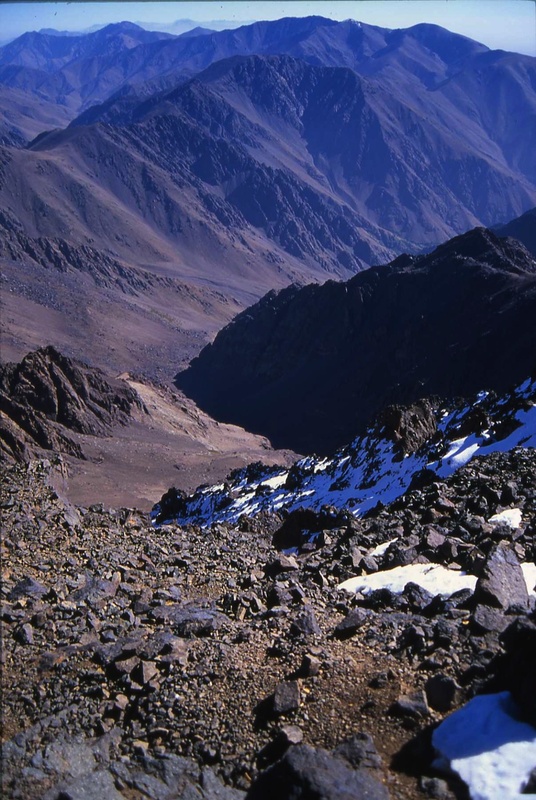 Toubkal at 4167m, is the highest point in Africa north of the Sahara and therefore a must do challenge. Flying to Marrakech, our base there was Riad Moulay Said in the souk just ten minutes walk from the buzzing square Jeema-El-Fna which we were able to enjoy on our return. Early on our first morning we drove to the start point of our trek, best described as taking the scenic route to Toubkal rather than the immediate assault. This route gave us time to acclimatise, gain a little extra fitness and thoroughly enjoy the experience. On the fourth day of the trek we began our climb of Toubkal, reaching the refuge less than 1000m from the summit. The summit day was a long one as we had an early start providing us with the fiery glow as the sun hits the surrounding rocks. The climb to the summit was largely on scree and took about three and a half hours, but the views make the effort very worthwhile. There was a particularly strong, cold wind increasing our need for greater effort. Having appreciated the summit, we returned first to the refuge, and then to the base of the mountain where a bus was waiting to take us back to Marrakech. Now we could enjoy the excitemnt of Jeema-El-Fna and the souk as we had added an extra day to the itinerary for that purpose. All too soon we returned to the UK.